The VSR-6 is an extremely affordable thermal imager. 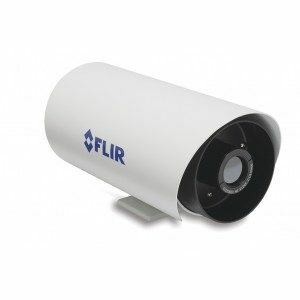 It provides crisp, clear thermal images in total darkness, light fog or smoke. It features the same thermal imaging technology found in many of FLIR’s most sophisticated security and surveillance systems, but it is packaged for users who have short range security and surveillance as their primary application. It includes FLIR’s advanced image processing techniques which deliver excellent contrast regardless of scene dynamics. Unlike other night vision systems that require low amounts of light to generate an image, the VSR-6 needs to light at all. The VSR-6 provides crisp, clear thermal images with a 160×120 pixels. Advanced internal camera software delivers a crisp image without the need for user adjustments. It provides good quality thermal imaging in any night or daytime environmental conditions. The VSR-6 is an excellent thermal imaging camera for those users that have only short-range requirements and want to detect man-sized or bigger targets. The VSR-6 is equipped with a 6.3mm wide angle lens. It gives you an extremely wide field of view (52º) so that you can cover a large area and keep excellent situational awareness. The VSR-6 is an extremely rugged system. Its vital core is well protected, meeting Mil-Std-810E and IP66 requirements, against humidity and water. The built-in heater enables a clear lens and perfect infra-red images to be displayed on the monitor even in extremely cold conditions.